Bradley Roby misses a tackle. Credit: Jay Biggerstaff, USA TODAY Sports. Should the Denver Broncos go after a quarterback, offensive lineman, inside linebacker? According to Pro Football Focus, their biggest need is at cornerback. Yes, the Broncos still have Chris Harris Jr. who is one of the best corners in the game, and lined up opposite of him is Bradley Roby, Denver’s 2014 first-round draft pick. But, when Harris went down due to injury — taking the No. 3 CB in the NFL per PFF out of the defense — Denver’s lack of depth in the defensive backfield was evident. 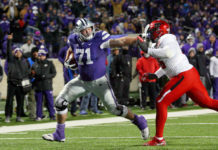 Even Roby — who played his first season as full-time starter in 2018 — isn’t necessarily a lock to continue to be a starter Ed Donatell’s defense, as Pro Football Focus wrote Friday. Roby is set to become an unrestricted free agent this year, meaning the Broncos have a decision to make on his future with the team. It’s certainly an interesting fall for Roby — who was graded at 59.9 by PFF last year, his worst season — because from 2015-17, he seemed to be a rising star. During those three seasons, Roby racked up four interceptions, 31 pass breakups and his opponent passer rating was in the 80s. 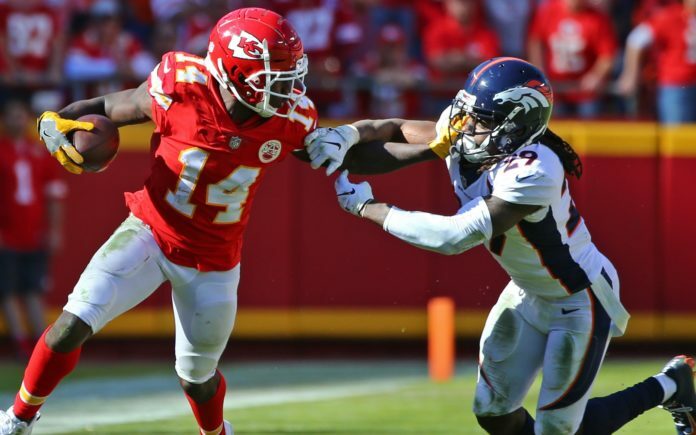 But when the spotlight was on him in 2018, his 65.3 reception percentage and 14.9 yards per catch were each the worst of his career. Signs point to Denver knowing they were deficient at DB in the 2018 NFL draft, taking Isaac Yiadom in the third round. They also selected Brendan Langley in the third round of the 2017 draft; neither has produced as hoped yet. Yiadom showed a few flashes of brilliance here and there, but didn’t see a lot of playing time until Harris was injured late in the season. Simply, Yiadom isn’t ready to start on a full-time basis, so if the Broncos don’t resign Roby, they’ll likely need to find two cornerbacks (one outside and one slot) either in free agency and/or the draft. Luckily, free agency is full of starting-caliber cornerbacks. There’s Ronald Darby from the Eagles, who tore his ACL in November but is still young at only 25. 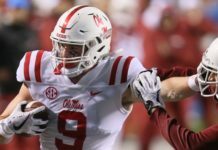 Bryce Callahan of the Bears is someone Vic Fangio and Ed Donatell are familiar with, and he was one of the best slot cornerbacks in the league last year per WalterFootball.com. Others include Kareem Jackson of the Houston Texans and Steven Nelson from the Chiefs. In the draft, Denver’s been mocked by CBS to take Byron Murphy at No. 10 overall out of Washington and then jump back into the first round to nab Drew Lock at No. 32. Murphy was a two-year starter at Washington, picking off seven passes — four as a senior — and taking one of them 66 yards to the house. He also forced two fumbles and defended 20 total passes in those two seasons. If the Broncos don’t go after Murphy in the first round, look for them to take one or even two cornerbacks in the draft this year, and likely adding a free agent CB as well. Without a doubt, Denver’s defense is one of the best in the league. But with the “No Fly Zone” no more, the Broncos defensive backfield is desperately in need of depth. 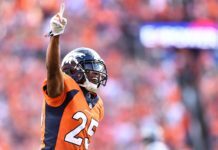 Outside of cornerback, Denver may look to replace Darian Stewart as well, who was a liability in the passing game all 2018.